If you hear the words Casino Royale, my guess is that most people imagine acres of green baize, shining chandeliers, beautiful women bedecked in diamonds and a famously suave British spy. But if you scratch the surface of this fantastical casino - the title of the 2006 movie Casino Royale starring the chisel jawed Daniel Craig - then you might find yourself discovering something rather less glamorous, but no less dramatic! In the movie Casino Royale the British spy hero, James Bond, takes on his very first mission to travel to the casino of the title and beat his first ever baddie - Le Chiffre. This scoundrel is a poker player extraordinaire, who has the dubious honour of being the banker to the world’s worse terrorists. The dramatic storyline requires the tuxedo sporting Brit spy to beat and ruin Le Chiffre in a poker tournament in the top-notch casino. The game is tense; even the US and UK Governments, who are secretly financing James’ spot in the game, are reluctant to part with the astronomical stakes to play. James has the mission to make sure that the villain’s habit of using his clients’ money to gamble is revealed if he is thrashed by the spy. The famed casino at the centre of the James Bond movie Casino Royale was set in the stunning Balkan country of Montenegro - and here the sleight of hand begins with the filming of this fantastical palace of pleasure and vice actually being filmed on location in the Czech Republic. Filming took place in the picturesque town of Karlovy Vary where the decadent spa doubled for the frontage of the striking Casino Royale. What you see is not always what you get- especially on the big screen! Few of us can resist imagine the temples to roulette and baccarat could ever be anything other than as bustling and atmospheric as they are in the movies. Sadly, this charmed and glamourous world is a long way from the reality of a rather different Casino Royale. In 1978 in Florida, on the US East coast, some smart business folk had an idea. This was an era when the liberal attitude to gambling law was on the wane. To get around gambling restrictions the ocean going Casino Royale hit the waves. As this casino was on board a boat that was supposed to sail more than 3 nautical miles from the shore, it was free of the strict legislation dictating gambling conditions and this made it a very popular spot for a flutter. This wasn’t your usual sea going vessel, with 6,000 square feet of gambling floor on offer over three decks of this smart boat! There were 200 poker games alone- this wasn’t a small casino! This ocean-going cash cow was making some big money but it was also moving quickly through owners all keen to make a killing and move on. But boats are cruel mistresses and this one came a cropper after running aground less than 3 miles from the shore and having to be rescued. Sadly this misdemeanour was repeated within a year and the boat was stripped of its license to gamble. It was censored for being too close to shore and within the reach of the law of the land. 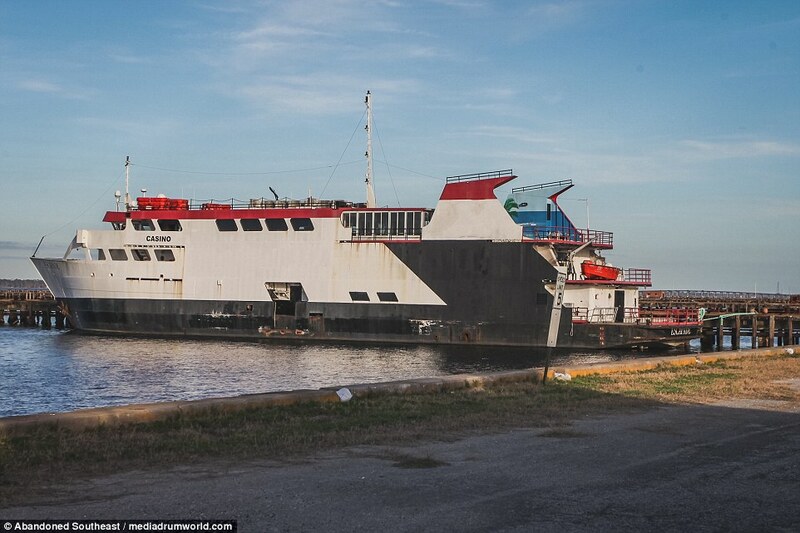 Since 2016 the only action this sad vessel has had was a move to avoid a hurricane and the flow of intrigued tourists- keen to see what deserted table games with chips and all the finery, fixtures and fittings that you would usually expect to see on the Strip in Vegas look like on a grounded Marie Celeste. There are rumours that the Casino Royale will once again grace the waves with a belly full of gamblers but only time will tell if the gambling mythology of Casino Royale will have another twist and another chapter.